The Marathon is over. 48 hours of Rosh Hashanah solemness, 25 hours of Yom Kippur praying and fasting, 7 Days of Sukkos & Simchas Torah joy and unity! I’ve never run a marathon, but I suspect that when the body cools down after that run it’s a little too quiet. Kind of begs for some action. Maybe you need to go for a small run?! With the high of the high holidays cooling down maybe it’s time for a little run. In fact if the high of the season was a good high, then we’ll know that from the practical application of all the good feelings of the season into something tangible. Coming off of Simchas Torah, the practical application ought to be Torah study. Torah is the lifeblood of the Jew, the core of our People, everything we are all about. Time to take action now. Daily Study? Weekly? A Course? See the events below the possibilities are endless. Have an awesome Shabbos and an awesome Torah filled year! 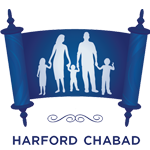 Monday 6:00pm we will be having Yizkor followed by a Simchat Torah hakafot at Chabad! If you are planning on joining please email Robyn robynbarnett@hotmail.com so the Barnett's can properly prepare. On Simchat Torah, the final festival of this month, we complete the annual reading of the Torah, and it is one of the most joyous events of the Jewish calendar. The occasion is marked by taking out the holy Torah scrolls from the ark and dancing with or around them. This practice is not just a method of celebration - it carries a deep message. The human body is divided into three parts - the head, the body and feet. Each part represents another aspect of the human experience. The head represents our intellect and power of cognition. Our body contains the heart, which symbolizes feeling and emotion. The feet stand for action. Dancing happens when we lift our feet off the ground. When we do that our heads are also lifted higher. Symbolically this means that when we practice what we learn our minds are elevated to a higher level. Implementing the values and principles that we study gives the knowledge and the academic concepts more depth and meaning. On Simchat Torah we celebrate the completion of the Torah and express our Jewishness with great intensity and happiness. But we do so by declaring our commitment to bring the values of the Torah down to the world of action. When we lift our feet and dance with the scroll, the Torah itself is elevated. When we lift our feet, committing ourselves to one more good deed, our minds and the Torah that we are holding are also able to dance. Not everyone is a huge scholar and we might not understand everything written in the Torah. But we can all do something. So on this Simchat Torah make sure to go to shul and lift your feet higher and higher. While you dance think of one mitzvah you can do this coming year. The Torah will dance with you and shower upon you all of its blessings. 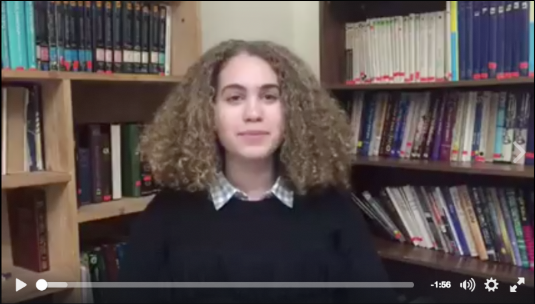 My niece, Rachel Schusterman, shares a message about the Parsha, singing is an expression of the soul. Her message is celebrate Judaism, she is currently learning in Melbourne, Australia. Do you ever stop and wonder about the tens if not hundreds of people you bump into or interact with on a given day? The bagger at the supermarket, the mailman, a customer service representative, the email spammer and the many more human beings we interact with consciously or subconsciously every day. According to the teachings of the Ba’al Shem Tov, each of these interactions are divinely orchestrated. There is a reason and purpose for each of these interactions. No we are not always fortunate to see or know the reason, but a reason there is or the interaction wouldn’t have happened. Sometimes we are fortunate to see the hand of G-d in a given interaction that sheds light and reinforces our belief about the other interactions. Like the other day, when I was having a rough morning. (Yes, I am one of those people who actually sometimes have a rough morning.) Looking at the challenges (yes, relatively small ones compared to some of the challenges people around me are experiencing, but these are my challenges) around me, I was questioning it all. If I was working for G-d then shouldn’t G-d make it a bit easier? Or, am I really making an impact? Or, what is the ultimate truth? Stuff like that. So, with these thoughts and frustrations swirling in my mind, I walked into Starbucks to ingest some caffeine to help still the mind and heart. As I am waiting online I see a nice couple who fell off the map about 13 months ago when their baby came into the world. “Hello, Rabbi!” 4 minutes later they were committed to rejoining the rest of us in the living world and a commitment was made by them to join us for High Holiday services. While this magical interaction was taking place I lost my place on line. A fellow who watched this interaction, graciously invited me to get in front of him. While we were putting our Splenda in our coffees, we had a short exchange and quickly discovered that this fellow had recently committed to reconnecting with Judaism (his mother's faith, father is Baptist). It became very evident that the angels were sent to remind me that although life has rough patches and rough mornings, everything does have a purpose if we only open our eyes to believe it and on occasion see it! Our G‑d and the G‑d of our fathers, great, mighty and revered G‑d, we beseech You in Your abundant mercy, restore the world unto its true basis, under the guidance of kings and rulers who shall reign with justice and righteousness without discrimination between nation and nation, race and race. We beseech You, oh merciful and gracious G‑d, guide our illustrious president, who You have chosen leader of these United States, strengthen and encourage him and his honorable ministers and counselors of state, and the honorable representatives of the citizens in both houses of Congress, bless their efforts to save this land and the neighboring lands from war and destruction, and wheresoever they turn in the cause of humanity and in behalf of this land and for the benefit of Your people Israel, send the angles of blessing and success to welcome them, and cause war and its calamities to be ended, and an era of peace and justice with its blessings to begin even in their and our days.